IntelÂ® Memory Drive Technology transparently integrates IntelÂ® Optaneâ„¢ SSDs into the memory subsystem. IntelÂ® Memory Drive Technology is a revolutionary software that extends system memory transparently. Combined with an IntelÂ® Optaneâ„¢ Solid State Drive (SSD), IntelÂ® Memory Drive Technology transparently integrates the SSD into the memory subsystem and makes it appear like DRAM to the OS and applications. IntelÂ® Memory Drive Technology increases memory capacity beyond DRAM limitations and delivers DRAM-like performance in a completely transparent manner to the operating system and application. In addition, no changes are required to the OS or applications. IntelÂ® Memory Drive Technology enables data centers to deliver more affordable memory pools by displacing a portion of DRAM. 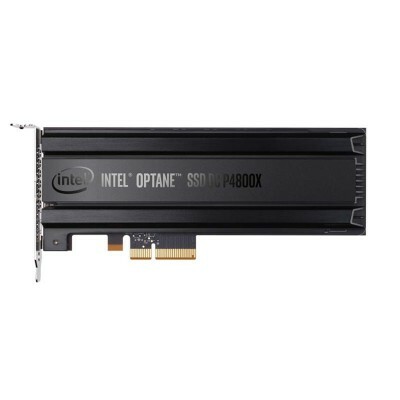 By pairing the DRAM with the high-performing non-volatile memory of the IntelÂ® Optaneâ„¢ SSD, data centers can more cost-effectively execute workloads that require high-end memory configurations with much lower DRAM capacity installed, saving on both Capex and Opex costs. IntelÂ® Memory Drive Technology enables data centers to grow the memory footprint beyond the DRAM capacity. Together, the DRAM and the IntelÂ® Optaneâ„¢ SSD emulate a single volatile memory pool. IntelÂ® Memory Drive Technology intelligently determines where data should be located in the pool to maximize performance, enabling servers to deliver performance across many workloads-even when DRAM is only supplying one-third to one-tenth of the memory pool capacity. The combination of cost-efficiency and increased capacity means enterprises can break through todayâ€™s memory limits, enabling new possibilitiesâ€”like accessing higher-capacity, in-memory datasets to deliver better, faster analytics insight. As an example, cloud providers can reduce capital cost for memory when enabled to oversubscribe workloads with greater overall capacity. Or, high-performance computing centers can increase large memory datasets to improve research and scientific results, and test new simulations quickly and cost-efficiently. The IntelÂ® Optaneâ„¢ SSD DC P4800X is the first data center SSD to combine the attributes of memory and storage. With an industry-leading combination of high throughput, low latency, high QoS, and ultra-high endurance, this innovative solution is optimized to break through data access bottlenecks by providing a new data tier. The DC P4800X accelerates applications for fast caching and fast storage to increase scale per server and reduce transaction costs for latency sensitive workloads. IntelÂ® Optaneâ„¢ technology is a unique combination of 3D XPointâ„¢ memory media with Intelâ€™s advanced system memory controller, interface hardware and software IP. This revolutionary technology is offered in several form factors to unleash vast system performance in a range of products.